Starting life as the MEATwagon, through to subsequent ventures, #Meateasy, MEATliquor, MEATmarket and most recently, MEATmission, the first site to offer reservations, MEATliquor provide ‘rough and ready’ menus of deliciously messy burgers and cocktails in their first venture outside of London bringing MEAT dishes, and a little something extra to the shores of Brighton. Alongside other MEATliquor fodder, including the Dead Hippie burger and Chilli Cheese Fries, the new restaurant will also be serving up a range of new dishes using local fish and seafood on a new menu. And to drink? Buckets of ice-cold beer alongside a few cheeky cocktails crafted by Soulshakers, naturally! The new restaurant will have a seating capacity of 100 and be based in York Place, London Road. Continuing a long-standing collaboration, Yianni & Scott have worked with London & Singapore based interior architects, Shed to create a unique space that, while continuing many themes from their previous work together at MEATliquor and MEATmarket, draws inspiration from Brighton’s lurid history. 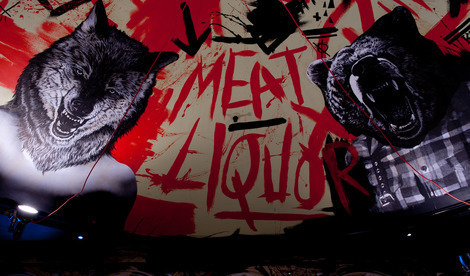 Find MEATliquor on Twitter @MEATliquor and check out their London menu here to see what to expect! We are going to be one of the lucky few to be reviewing the restaurant when it opens so keep your eyes open for that in the near future.